It’s the big one. 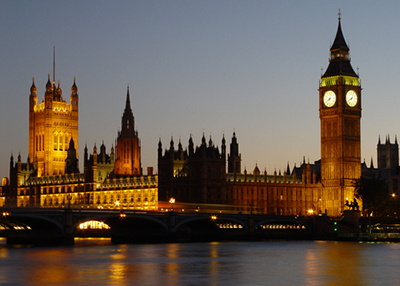 The next UK general election has been set as Thursday, May 7, 2015. The campaigning officially kicked off yesterday and there’s still time to register to vote if you live overseas. Check the website About My Vote for all the details. We think it’s important to still have a say in who runs the UK back home. Here’s the timetable of events so you can keep up with all the action over the next few weeks. We already have some related articles lined up … so watch this space. This entry was posted in Uncategorized and tagged about my vote, brits in toronto, general election, uk election on March 31, 2015 by britsintoronto. On a regular basis (we’re not committing to a definite schedule in case the series flops and this is the only one) we will contact British institutions — such as a fish and chip shop — and ask the hard questions that no one dares to explore. It will be groundbreaking, truly insightful and, yes, sometimes we’ll walk the editorial tightrope of pure fear and excitment to bring you the scoop on information that you’ve always wanted to know — but never had a Brit blog to take care of for you. So, without further link bait ado, let’s go behind the scenes of a fish and chip shop! To help us in our quest, Kevin from Sea Witch Fish and Chips very kindly agreed to answer our thought-provoking, deep and probing questions. But that’s totally acceptable; he runs a fish and chip shop. Hold tight as we go … behind the scenes. How long does the oil take to cool down and how often is it changed? 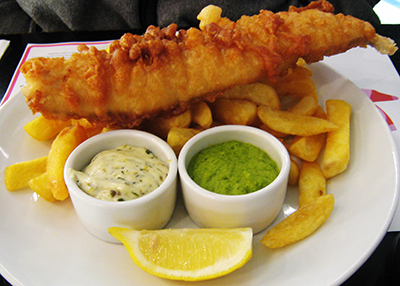 What’s the most popular type of battered fish do you sell? In Canada, halibut is still king. And it will always be that way until it approaches the $20/order mark — which is coming soon. Although, as the price climbs, haddock sometimes comes close … but never surpasses. What happens to unsold food? Is it just thrown away or given to charities or organizations? Happily, we don’t waste anything. I’ve been doing this for a while and, I guess, have learned how to prep enough without wasting. For fish, I’d rather sell out of one or two — we have five types on the menu — than throw some out. For spuds, if there are any blanched ones left at the end of the day, one of us will take them home and make a hash out of them in the morn. Taters blanched in beef and finished in bacon fat? Yes please! Why is it always served in newspaper? Why not in a magazine or on an e-reader or something? Hey, chips wrapped in an e-reader is a perfectly good waste of chips. As you know, the newspaper wrap is one of the vestiges of a working class meal. Cheap eats served on a free supply of packaging. Sadly, fish isn’t so cheap anymore. Any plans to get pickled eggs or curry chip sauce on the menu for the Brit palate? In my experience, items like these are nostalgically mentioned occasionally but are not actually requested with any frequency. Like mushy peas. And Salad Cream for a chip butty. Scraps, bits. And kebab vans. What’s the one surprising thing about a fish and chip shop that the punters don’t know? This is a great question. Unfortunately, my top 10 answers can only be shared over pints! On the record, though, all fish ‘n’ chippers, after a time, eat things with legs, not gills. So there you have it. We broke the news about the price of halibut going up and that — woe is us — staples like mushy peas are not frequently requested. This entry was posted in Uncategorized and tagged behind the scenes of, brits in toronto, fish and chips, sea witch fish and chips on March 30, 2015 by britsintoronto. Top 8 things you need to know before you go to Canada! Reprinted by kind permission of the smiling gent above who started Prepare For Canada. This year is the beginning of my seventeenth year in Canada. Seventeen years of working to help immigrants succeed and thereby give back to the country I adopted. Here are some tips beyond my 7 Success Secrets! 1) Get all your papers ready. Starting from your educational documents, birth, and marriage or divorce documents. Driver’s license, valuables, good to follow all critical. For a complete list, go here. 2) Research your location. Most immigrants go to where they have a close or distant relative which is good but not ideal from a career perspective. Find out the labour market demand for your profession and choose your location accordingly. Remember, with Canada being so big (second largest country in the world by landmass!) once you land moving becomes pretty expensive. 3) Research your career — is it a regulated or unregulated career? If it is the former and you go through the process of getting your credentials recognised, do remember that this changes form one Province to another. In other words, if you move from Ontario to British Columbia you need to see whether your credentials still meet the requirements. 4) Choose your landing time if you can. I hear of so many who land in December or January when the weather challenges will distract you from the whole settlement process. Additionally, that is not a time you want to be going out looking for a job. The ideal time is mid-year when it is summer and just right before schools open in September. You get to go familiarize yourself in new city, connect with a settlement agency and hopefully make friends! 5) Get your finances organized. 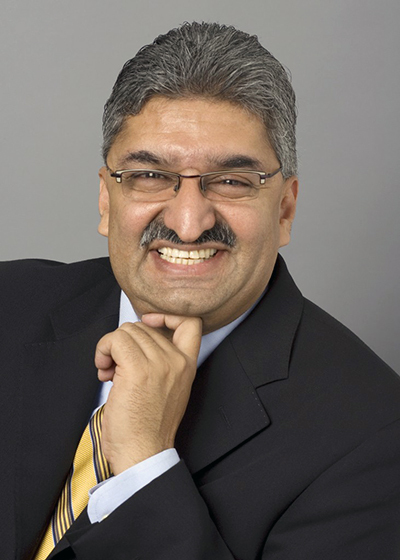 If you have attended our webinars you know that we work exclusively with Scotiabank as we believe they provide a superior product and customer service for newcomers. Find out more about their StartRight program here. 6) Have realistic expectations. Many immigrants migrate at the peak of their career and, understandably, want to pick up where they left off when they move to Canada. Have realistic expectations, but aim for the sky. Here’s the point: It took me 23 years to reach where I was in the advertising industry in my home country, so I cannot realistically expect I will instantly be at the same point immediately in a new country! 7) Understand your strengths and weaknesses. Not exclusive to migrants, fully understanding one’s strengths and weaknesses and being truly self-aware is not always easy. As human beings, we often find it difficult to face up to reality, accept when we’re wrong, admit to making mistakes, and acknowledge we may not be very good at something. To thrive in a new country, it’s critical to put down your defenses and to objectively reassess your skills in a new light — a Canadian light. 8) Seek help and advice. The first thing you should do is connect with a credentialing service that will help you get started on having your education qualifications recognized. Click here to get started. Next, ask for assistance from the many immigrant settlement agencies. They will help you with an accurate self-assessment of your soft skills which you can elaborate on in job cover letters and interviews. And don’t just stop there! Get a mentor, start networking within your profession and get on your way to success one step at a time. So there you have it. More tips to help you succeed in Canada! Every month, I will be talking more about this in our newsletter. The only way to get it is to subscribe here. Lastly, don’t forget to attend our Know Before You Go webinar and prepare for success in Canada! This entry was posted in Uncategorized and tagged brits in toronto, nick noorani, prepareforcanada on March 24, 2015 by britsintoronto. Reddit discussion: How would a British person fit into life in Toronto? We love Reddit Toronto and they often feature some good, relevant content to our subject matter … like this one. 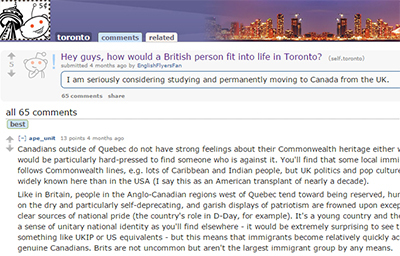 Here’s a very specific discussion that Brits in Toronto readers may find useful, or decide to participate in: How would a British person fit into life in Toronto? There’s some positive and negative comments in the discussion, so take a butcher’s! This entry was posted in Uncategorized and tagged brits in toronto, reddit, reddit toronto on March 24, 2015 by britsintoronto. Don’t forget, Brits, you have to file taxes in Canada. How about $20 off? And a wormhole? There, we said it. But you have to face it. So we made it a little easier and partnered up with Taxback.com to make the task not such a pain. And as it’s a sponsored post, they’re also offering you $20 off your filing fee. We’ll repeat that fact at the end too just for more impact. Tax season has come and gone as quickly as the snow this year (well, maybe not in the east), but nonetheless, the deadline is approaching for us all to file our tax returns. If you’ve worked in Canada in 2014, you’re obliged to file a tax return. It’s not all bad news however, because if you paid tax in 2014, you’re more than likely due a tax refund. Taxback.com’s average refund for international workers in Canada is $904, which is not to be sniffed at! What would you do with $904? So, where do you begin? Luckily, Brits In Toronto has partnered with Taxback.com to guide you all in the right direction. 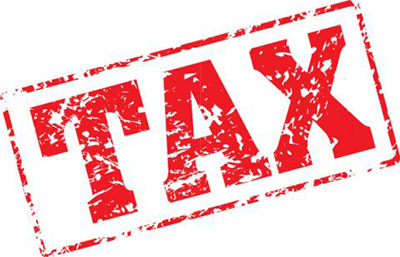 Taxback.com specializes in filing tax returns for international workers, and look after the whole process for you. 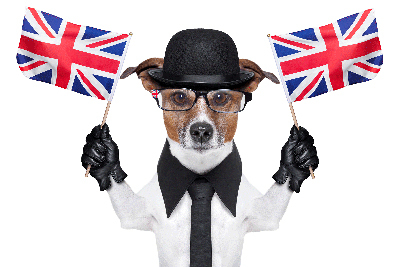 This entry was posted in Uncategorized and tagged brits in toronto, tax, taxback.com on March 19, 2015 by britsintoronto. Red vs. Brown: Which sauce are you? A fun little item caught our SAUCY eye today. Ha! Come on readers, KETCHUP will ya? Ha ha! OK. It was a slow news day. But we still like this as it will divide a nation of Brits and have families fighting at the table. Red or Brown? 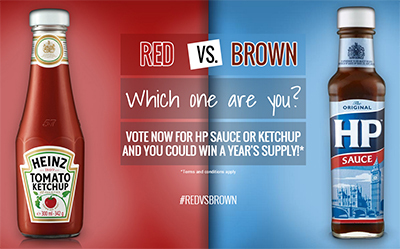 The “Red vs. Brown” campaign pits Heinz Tomato Ketchup lovers against fans of HP Sauce. It has kicked off with the message being spread on the brands’ social media channels. There is a dedicated website to vote on your favourite sauce flavour. The votes will be tracked on a regional map to highlight the divide in popularity across different parts of the UK. You can vote and also win a year’s supply! So, prove your alliance once and for all and let’s see what sauce comes out on top. This entry was posted in Uncategorized and tagged brits in toronto, heinz, ketchup, red vs. brown on March 18, 2015 by britsintoronto.